Summer is the season we’ve waited for all year. It’s 100 days of high dives, ball games and barbecues. It’s also 100 chances to clear your calendar for what’s most important. 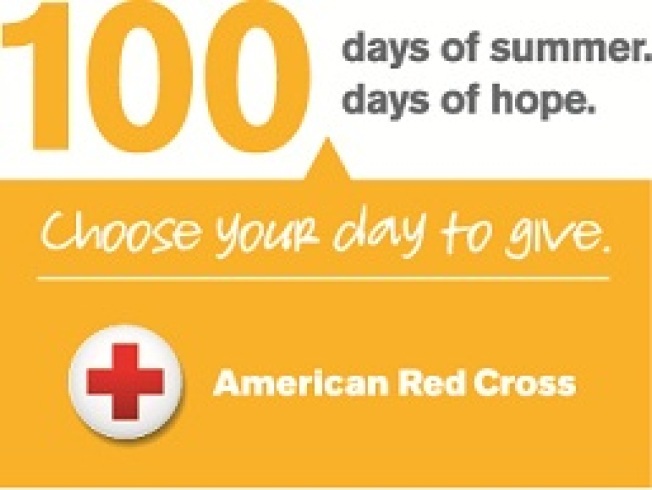 Join the American Red Cross in giving blood or platelets this summer, now until September 1st. Your donation will give hope to hospital patients so they can create summer memories that will last a lifetime. Make an appointment to give blood or platelets today. Call 1-800-RED CROSS or visit www.redcross.org. Every day this summer is a chance to give hope. Choose your day.